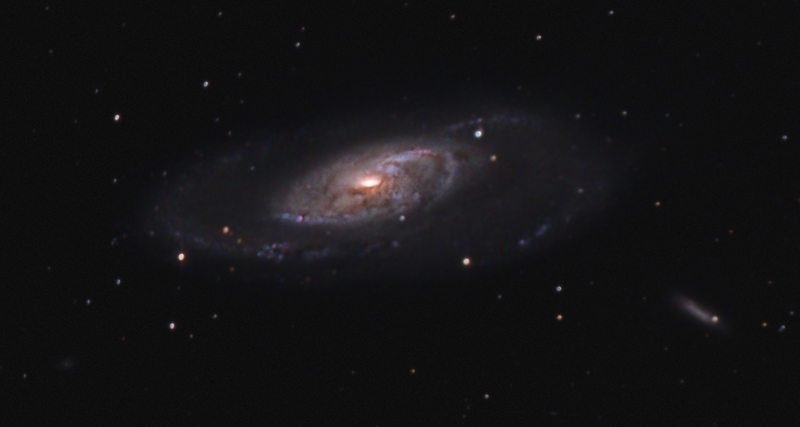 Here is a recent image of M106 taken during a faint aurora. The aurora made bringing out detail in the faint outer arms very difficult. It caused a lumpy gradient across the image as some of the frames were red, some green and some blue. 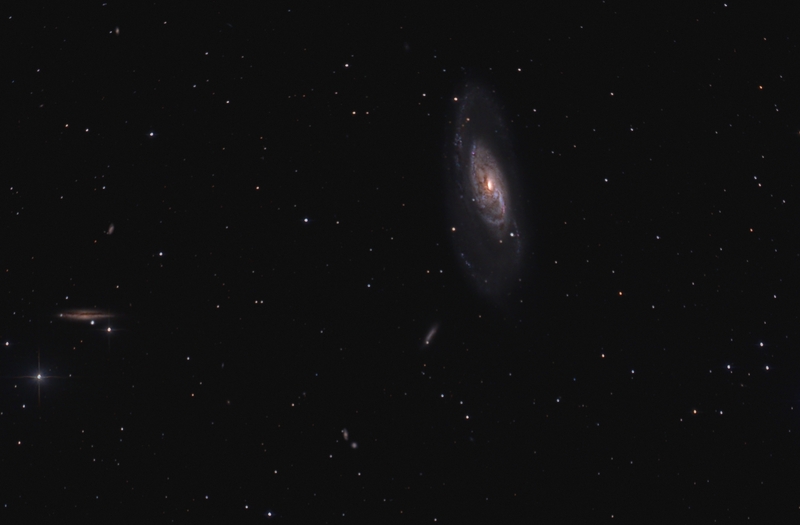 Scroll down to see a larger crop of M106. Processing This image was processed entirely in Images Plus. Calibration and stacking done with the automated image set processing without dark frames. Masked arcsin stretch was used as the initial stretch. Feature mask was used to split the stars and the galaxy and one iteration of SMI processing was used to bring up the faint detail in the galaxy. A mask was used with a curves adjustment to enhance the faint outer arms. Masked noise reduction used on the faint areas. Sharpening and contrast enhancement applied then the image was binned and a masked star reduction applied. Finally when the image was reduced to 8 bit colour, noise blobs were brought out in the background. These blobs were fixed using a layered combine technique.